These two players have met five times in the past with the Serbian scoring straight-set wins on all five occasions. However, facing Djokovic on clay in current form (far from his best) gives the Spaniard his best chance of getting something against the 12-time Grandslam Champion. Novak Djokovic must be a relieved man after getting past the second-round hurdle only for the third time this season (Australian Open and Monte Carlo). 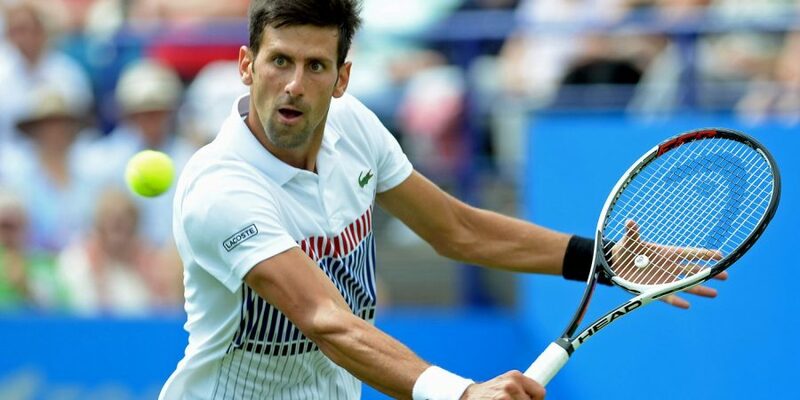 After registering a dominant win over Aleksandr Dolgopolov in the first round 6-1 6-3, Djokovic secured yet another straightforward win over Nikoloz Basilashvili in the second round, 6-4 6-2. Apart from failing in the qualifying stages on his Rome debut in 2006, Novak Djokovic has at least made the quarterfinals here in his other 11 appearances, winning the title on four occasions (defeated Nadal twice in the final). Winning two more matches (against Ramos and either Nishikori or Kohlschreiber) will take the former world #1 into the path of Rafael Nadal, something the Serbian wouldn’t be fancying at the moment, considering his recent struggle and Nadal’s rampant form on clay. A win against Albert Ramos Vinolas will give Novak Djokovic his first quarterfinal appearance since Wimbledon 2017 where he was forced to retire during his QF match against Tomas Berdych, it was also his final match of the 2017 season (right elbow). Albert Ramos Vinolas played out three tiebreakers to emerge victorious after two hours and 55 minutes against John Isner, 6-7 7-6 7-6. It was the second time he fought back from a set down this week, having previously defeated Federico Delbonis, 2-6 7-5 6-1, in the first round. This is only the first time Alberto Ramos has managed to win back-to-back matches since finishing as the runner-up at Quito in February 2018. Additionally, this is also his best result in the Rome Masters as he could not progress beyond the second round in his previous six appearances.